90 day photo project: . 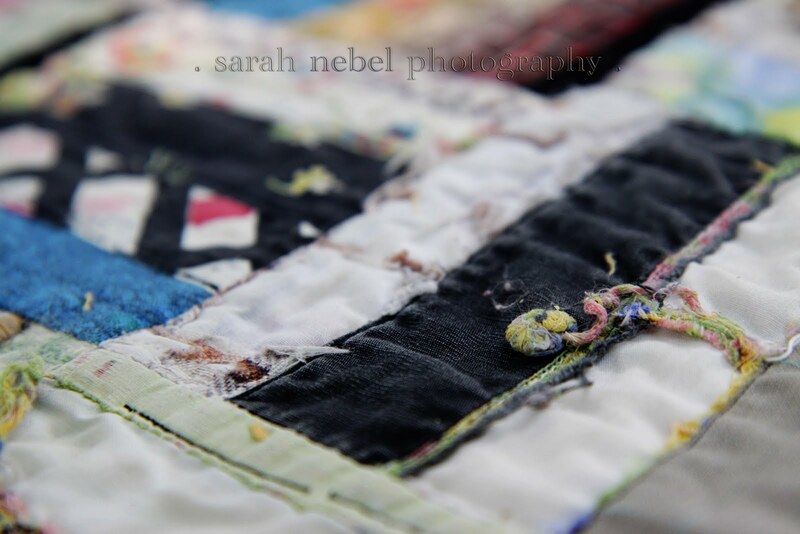 day 38 .
. my grandmother's quilt . i love it . use it for photo shoots all the time . today it was our tablecloth at our picnic . i noticed this little string coming off of it . it looks kinda like a flower .